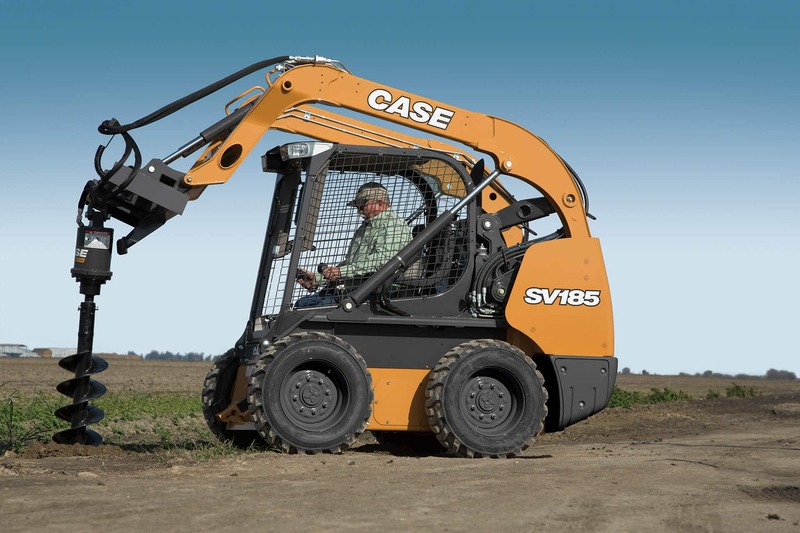 The CASE SV185 skid steer loader is built with the hydraulics and lift to tackle the toughest jobs. The new heating and air conditioning systems create a comfortable environment year-round, helping you become more productive and ultimately improving your bottom line. 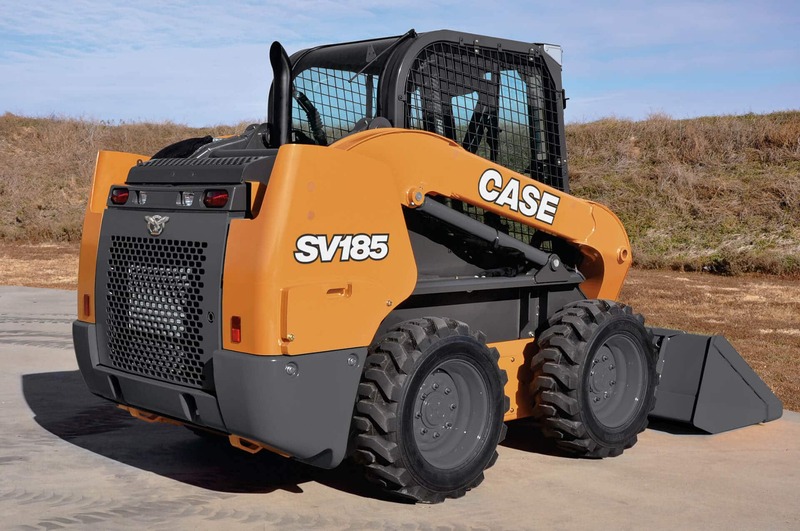 The SV185 offers a DOC-Only solution to meet Tier 4 emissions regulations while delivering more power and capability within the same compact skid steer dimensions. With industry-leading breakout force, this powerful machine with vertical-lift path is a great choice for a wide range of applications, including lifting, carrying and truck loading. 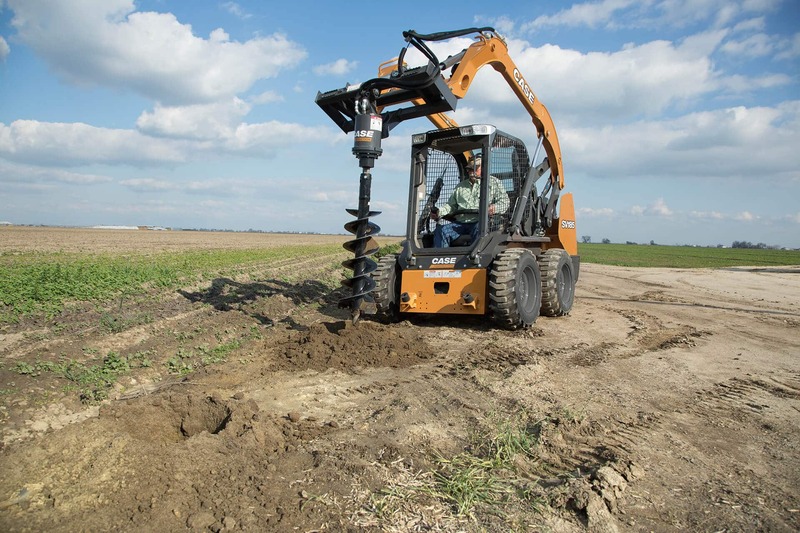 The Power Stance wheelbase and 30/70 weight balance gives the SR185 the dynamic stability to dig, lift, travel and maneuver with more material to maximize productivity. 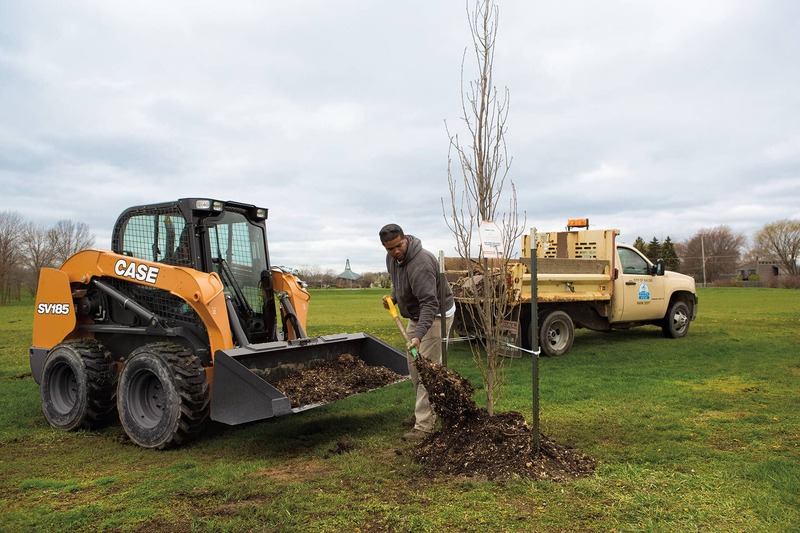 Enjoy the flexibility to increase the machines’ rated operating capacities by a hundred pounds — to 1,950 lbs (885 kg) with add-on counterweights. 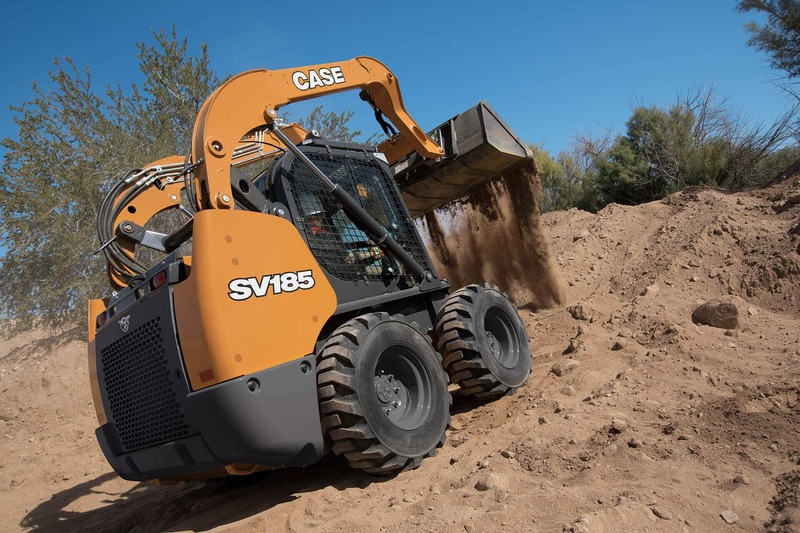 The SV185 for Tier 4 Final delivers a 7% boost in engine torque to 135 lb-ft (183 N-m) and 60 hp (44.7 kW) gross for the performance and productivity that you depend on for your toughest applications. Built with you in mind, the SV185 has an engine that is tuned for power and performance, equipped with a unique DOC-only solution that eliminates DPF ash. 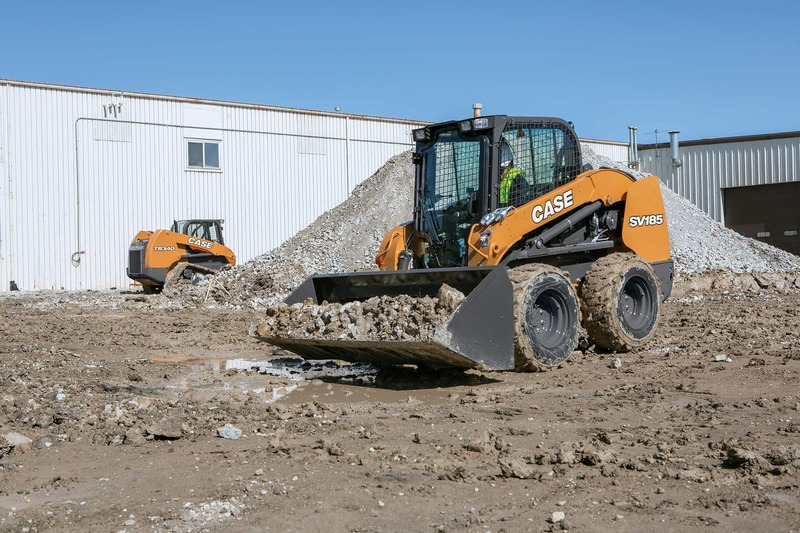 With the widest skid steer cab in the industry, you are sure to stay comfortable from dusk to dawn. This large, luxurious cab is sealed and pressured to keep water and dust out, even in your dirtiest jobs. New features maximize visibility such as the cab forward design, ultra-thin wire side screens, and updated cab door. The use of a diesel oxidation catalyst (DOC-Only) solution offers a simple, maintenance-free solution to meet the new Tier 4 Final emissions standards. Without a DPF filter, you will never have to worry about regular maintenance intervals, ultimately increasing your uptime. Why this solution: Machines in this class size are used by a wide variety of operators in varying applications, so simplicity is key. This Tier 4 Final solution requires no new actions or upkeep, letting operators focus entirely on the work at hand. How it works: The high-pressure common rail (HPCR) system electronically controls fuel injection for greater fuel economy through more efficient fuel burn. With Cooled Exhaust Gas Recirculation (CEGR), exhaust gases are cooled, blended with fresh air and then returned to the cylinder. Then the diesel oxidation catalyst (DOC) oxidizes the machine’s exhaust to create heat and remove the remaining emissions. What this means to you: This solution is a maintenance-free solution, requiring no costly DPF (Diesel Particulate Filter) to replace and no new fluids to add. Powered by an FPT engine.